You’re researching a new central air conditioning system or wondering if ductless heat pumps can cool your entire home, and all you find on manufacturer sites are numbers. SEER and Tons of cooling, what are those? Fox’s HVAC specialists believe that the more informed you are, the better choice you can make for your heating and cooling needs. Here is a light explanation of key air conditioning terms and ratings that are easy to digest without an engineering degree. In Seattle, air conditioning is used year round in restaurant kitchens, but most homes with AC only use it during the summer. That is why the dual heating and cooling technology of heat pumps is so popular here. Seattle homeowners often focus on the energy efficiency of the heating part and look at cooling as a great side benefit. However, for our friends in the Southern US, air conditioning is as essential as heating is to us, and is used year round. So installing an energy efficient system is critical. We benefit from the technologies that have been created to drive efficiency in air conditioning for these markets. How Can We Measure AC Energy Efficiency? We compare the energy efficiency of heating systems by measuring how efficiently they generate heat from burning their fuel (gas, oil, propane, wood). Whether you have central air, a ductless split system, a swamp cooler or a single window AC, all of these air conditioners are electric. Therefore the energy efficiency rating system that is used for heating equipment does not apply. Engineers had to come up with a way to compare systems based on how an air conditioner works. The primary rating that can make a difference in your energy cost is called SEER (Seasonal Energy Efficiency Ratio). SEER measures the cooling output in BTUs (British thermal units*), over a typical cooling season in the part of the country where you live, divided by the total electricity used by the equipment during that season. Conceptually similar to miles per gallon in your car, an easy way to think of SEER is a measure of how much cooling the unit can do per watt of electricity it uses. The higher the SEER rating, the more cooling per watt, and the lower your electric bill will be when running it. The US government set minimum standards for AC efficiency at 13 SEER, and the most popular units are in the 13-18 range. AC’s are on the market up to 26 SEER that are super-efficient. 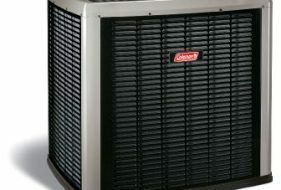 Energy Star rates appliances for energy efficiency awards their highest ratings and federal tax credits to air conditioning systems of 16 or higher SEER, and ductless heat pump split systems of 15 or higher SEER. All of the Daikin Ductless systems that we sell at Fox qualify. Do you have one of these? 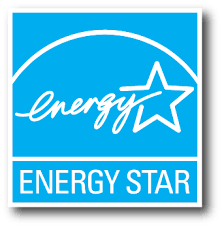 The EnergyStar yellow sticker with the SEER rating will be on your equipment. What can this mean for your cooling cost? We have about 40 days during the summer with near 80-degree heat, so using that as the time the AC would be running, the annual difference between 13 SEER and 15 SEER would be about $80-$100 on your electric bill. Your AC use might be higher. *Note that Energy Star’s cost calculator only assumes we have 12 days of AC use, which does not reflect the last decade of weather trends! In measuring systems for whole home central air, you will often see the measure of tons of cooling. Air conditioners are commonly sold in measurements of cooling output from 2.5 to 5 tons of cooling. Similar to the BTU, a ton is a part of the old British measurement system that is still the standard today. Air conditioners remove heat from the air using liquid refrigerant. The result is cool air that a fan blows in and around your home. A ton represents the amount of heat that would melt 1 ton of ice in 24 hours. A 2 ton AC can cool at a rate that would remove enough heat to melt 2 tons of ice in 24 hours. So how do you know the tons of cooling you will need for your home? Your Fox HVAC Specialist will size the air conditioner correctly to fit your living space and provide you with AC options. 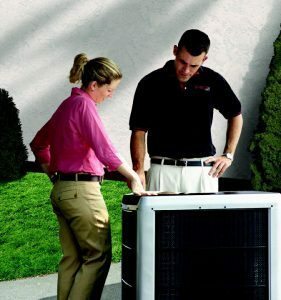 Ready to put your new terminology to work in choosing an air conditioning or heat pump system? Talk to our HVAC Specialists today. *British Thermal Unit = the amount of heat that would raise the temperature of one pound of water by one degree F.